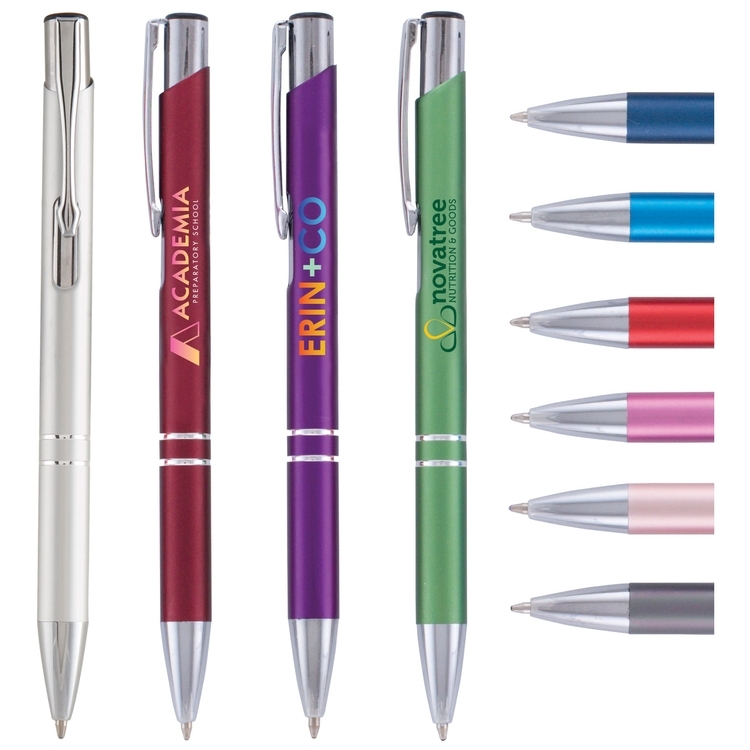 Spruce up your advertising campaign by adding a fun splash of color with this aluminum Matte Tres-Chic pen! Our best-selling Tres Chic pen just got better with a variety of vibrant matte color choices that are paired with polished chrome accents. The medium ballpoint pen features black ink and plunger action, helping your company click with new and potential customers right away. Customize this pen using ColorJet, our full-color, photo-quality direct imprint process that makes it easy to show your brand's true colors. 5.39"(L) x .39"(D) Circumference: 1.23"